What is a Shutdown Valve ? A shutdown valve (also referred to as SDV or Emergency Shutdown Valve, ESV, ESD, or ESDV) is an actuated valve designed to stop the flow of a hazardous fluid upon the detection of a dangerous event. This provides protection against possible harm to people, equipment or the environment. Shutdown valves form part of a Safety Instrumented System. The process of providing automated safety protection upon the detection of a hazardous event is called Functional Safety. For fluids, metal seated ball valves are used as shut-down valves (SDV’s). Use of metal seated ball valves leads to overall lower costs when taking into account lost production and inventory, and valve repair costs resulting from the use of soft seated ball valves which have a lower initial cost. Straight-through flow valves, such as rotary-shaft ball valves, are typically high-recovery valves. High recovery valves are valves that lose little energy due to little flow turbulence. Flow paths are straight through. Rotary control valves, butterfly valve and ball valves are good examples. For air intake shut down, two distinct types are commonly utilized, i.e. butterfly valves and swing gate or guillotine valves. Because diesel engines ignite fuel using compression instead of an electronic ignition, shutting off the fuel source to a diesel engine will not necessarily stop the engine from running. When an external hydrocarbon, such as methane gas, is present in the atmosphere, it can be sucked into a diesel engine causing overspeed or over revving, potentially leading to a catastrophic failure and explosion. When actuated, ESD valves stop the flow of air and prevent these failures. As shutdown valves form part of a SIS. It is necessary to operate the valve by means of an actuator. These actuators are normally fail safe fluid power type. 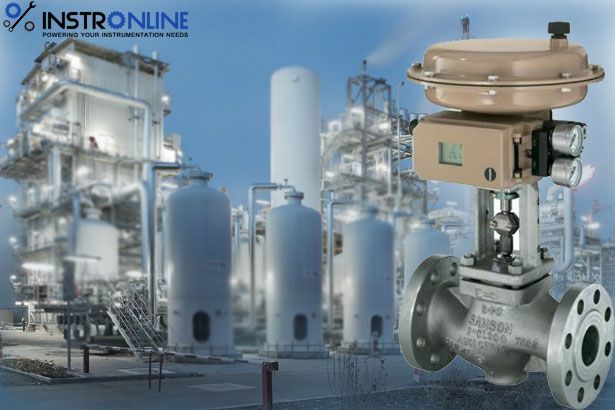 The type of actuation required depends upon the application, site facilities and also the physical space available although the majority of actuators used for shutdown valves are of the spring return type due to the fail safe nature of spring return systems.